« Why wear makeup to have a beautiful skin? During his experience in the medical industry, Dr. Regis MARTIN, Phd in Pharmaceutical and Cosmetologist, observed the harmful effects of internal and external aggressions upon the epidermis. In fact, the quality of the skin in his patients was rapidly deteriorating: dryness, fine lines, excess sebum, loss of shine, redness and imperfections. At that time, there was no existing solution on the market able to provide the skin with what it really needs: repairing, protecting and rebalancing. The passion of Dr. Martin was born at the age of 7, so he made his first cream in the pharmacy of his grandmother. Magical place where raw plants were assembled and stored in large glass jars. At the age of 14, he decided to create a cosmetics range and focused his career towards this goal. Traditional cosmetics usually prevent the epidermis from breathing and thereby weaken it, making it more vulnerable to daily aggressions and accelerating the skin’s aging. As he became aware that most women had to wear makeup to achieve a beautiful and uniform complexion, Dr. Martin realized the importance of “freeing the skin”. This was one of this passionate Cosmetologist’s deeply held convictions. An expert in plant substances, Dr. Regis MARTIN was interested in the prowess of organic cosmetics, a philosophy which offers a positive outlook on the development of cosmetics. However, he quickly noted certain limitations: unpleasant textures, instability of formulae and the presence of allergens. He relied on essential contributions from organic cosmetics and to those, added purity, effectiveness and sensory appeal. He developed unique and molecular aromatherapy concentrates combined with an active natural base so that the skincare products meet the skin’s needs, making it more naturally beautiful. Your skin is finally free to breathe. It regains its balance and original beauty: smooth, uniform and incredibly luminous. The skincare products free the skin from the harmful effects of silicones and parabens, the inability to breathe, the effects of daily stress, imperfections, inflammations, redness, and excess sebum, to allow women to take back control of their beauty. Research on LULL Paris skincare products is labelled “Innovative” by the Ministry of Research. The products are formulated and manufactured in France, packaged in glass bottles for better preservation of active components. 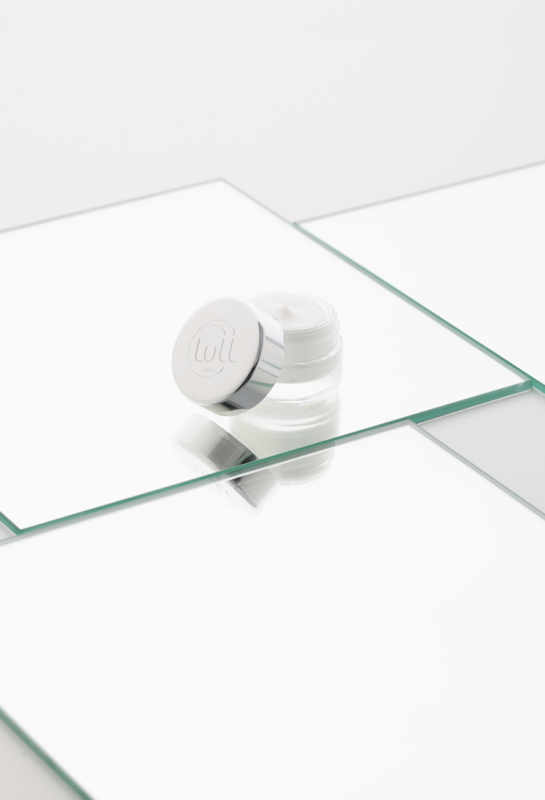 Glass packaging is particularly suitable for skincare products which do not require rinsing, as it prevents endocrine disrupters (found in plastic substances) from penetrating the epidermis. All packaging is recyclable or reusable on the eco-responsibility chain.